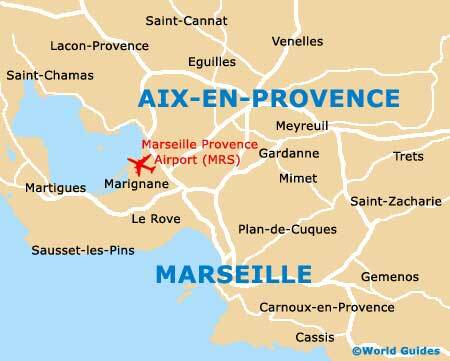 Marseille is a lively, cosmopolitan city and, as you'd expect, is home to a wide range of dining venues, from restaurants offering international and Provençal cuisine, to cosy bistros, terraced cafés and salons de thé (tea parlours). 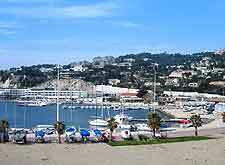 Marseille's coastal location means that good quality fresh fish and seafood is plentiful all year round and features extensively on restaurant menus. Many of Marseille's dining venues offer good-value lunchtime specials, known as plats du jour. There are a number of places where you can get snacks of pizza, sandwiches and chips at any time of the day, including cafés, brasseries, pizzerias, cafeterias and street stands. There are plenty of cafés and bars in Marseille where you can breakfast on pastries and coffee. In addition, bakeries open from as early as 06:00 and offer a good selection of freshly baked bread and pastries. 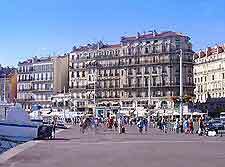 Most restaurants in Marseille are open daily for lunch and dinner, although a number do close for Saturday lunch or all day Sunday. Opening hours are displayed on the front door. Bouillabaisse is a Marseille invention and as you'd expect, there is no shortage of restaurants offering this on the menu. A traditional bouillabaisse is a soup flavoured with saffron and garlic, and based on fish, croutons and a garlic and chilli-flavoured mayonnaise. The scorpion fish is seen by many as an essential ingredient. Dishes including a variety of different types of fish, crabs, oysters, mussels and other shellfish, are a major feature in dining venues all over Marseille and particularly around the Vieux Port area. Lamb belly and trotters are also a traditional cuisine of Marseille and served at many restaurants. 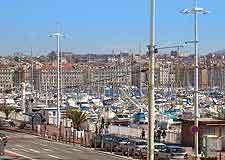 Tourists wishing to sample traditional fish and seafood cuisine in Marseille need look no further than the rows of restaurants on the Vieux Port quayside and clustered around the pedestrianised place Thiars district. Highlights include Chez Michel and Les Mets de Provence Chez Marice Brun, both renowned for their authentic Provençal dishes. Restaurants which offer a variety of international cuisines, including North African, Indian, Thai and Italian, can be found in and around cours Julien and place Jean-Jaurès. Marseille's Plage du Prado boasts a number of good restaurants, although these are generally more expensive and upmarket. Tourists looking for more down-to-earth dining venues in Marseille should head to Le Panier. Cafés in this area of town offer snacks and an opportunity to watch the world go by. There are also some good old-fashioned bistros with plenty of atmosphere.